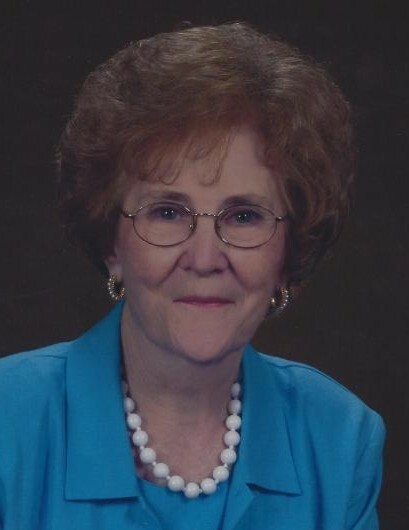 Okolona-A kind, gentle, independent and encouraging soul, Audrey Dean Corley Inmon, at age 83, realized the promises of her faith and met her Master on Thursday evening, Jan. 31, 2019 from her residence at Shearer Richardson Nursing Home in Okolona. Audrey was born on March 20, 1935 to the late Clarence Randall Corley and Addie Elizabeth Ellis Corley. She lived her whole life in her beloved Chickasaw County. She married Tommy Inmon in 1952 and, to this union was born 5 daughters. Audrey worked for over 25 years for Howard’s Department Store in Okolona and was a longtime bus driver for Okolona Public Schools. She enjoyed family and friends, gatherings, good conversation, was a great cook and loved helping Tommy tend their yard over the years. He legacy will be that of a faithful wife and doting mother, grandmother and virtuous Christian woman to her family and many friends. Her encouraging words and smile and her pure southern hospitality will always be her hallmarks. She was a longtime faithful member of the First Baptist Church-Okolona. A service celebrating her life will be held at 2 PM Today (Sat. 2/2/19) at First Baptist Church of Okolona with her pastor, Rev. Dr. Randy Lewman and Bro. Mark Hoover officiating. Private burial will be in Lee Memorial Park. Visitation will be from 1 PM-service time today at the First Baptist Church of Okolona. Audrey leaves behind 4 grateful daughters, Janice Lewis, Judge Judy Posey (Tim), Ginger Bean (Eddie) and Lynn Gaskin(Terry) all of Okolona. her grandchildren, Tracy Hoover (Mark), Tom Jones (Stacy), April Bell (Cort), Chris Holton (April), Will Holton, Cody Lewis, Corley Beth Davis, Elizabeth Posey Ethan Bean and Elizabeth Bean. Her great grandchildren, Kayla Bell, Brooklyn Bell, Preston Bell, Ali Holton, Bishop Holton, Barrett Holton, McKenzi Holton, Cade Jones, Millie Kate Jones and Sarah Grace Jones. She was preceded in death by her husband, Tommy, a daughter, Lane Inmon Davis, her parents and her brother, Alvis Corley. She was preceded in death by her parents, Clarence and Corley, her husband, Tommy and 4 sons in law, Percy Holton, Frank Lewis, Jimmy Jones and James Davis. Pallbearers will be grandsons and grandsons in law. Memorials may be made to First Baptist Church, 201 W. Main St, Okolona, MS. or to the Shearer-Richardson Patient Care Fund, P. O. Box 419, Okolona, MS. 38860. The family expresses gratitude to the staff of Shearer-Richardson for 8 years of remarkable love and care of their Mom and Grandmother.